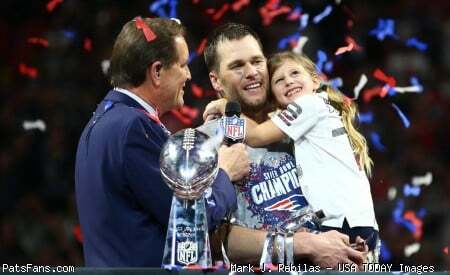 Discussion in 'PatsFans.com - Patriots Fan Forum' started by TommyBrady12, Feb 9, 2019. Bill's gonna have to thaw out a few more assistants..
Realistically, how much vital information can he bring to Chiefs franchise? Anyone got ideas how bad is it? I find that very hard to believe.. I think BB will strongly consider his recomendations, but no way does Greg get to have his pick of the litter. Exactly. That’s how you end up with a divided locker room. This probably has more to do with schiano than anything else. But keep in mind, bb had 4 really talented coaching assistants that can be moved up. This is a big loss. That Pats D Line played amazing and Daly will now help Spagnulo. Biggest risk for the Pats are those Giants-like losses against a tough DLine , and KC now has the DCoordinator and DLine coach to possibly beat Scar and Brady. Still no word on replacement coaches I take it? You know how this works. We’ll hear lots of rumors regarding this candidate or another, but we’ll not hear anything definitive from the Patriots until it’s time to head to Indianapolis for the combine at the earliest. Who knew that Brendan F-ing Daly was the secret to the Patriots success? Oh well, they had a good run for a while there. I seem to recall another coach being offered a position at an AFCE team. He didn't take it when he couldn't name his assistants. If a DC is brought in from outside, he should have a strong say in hiring his assistants. Obviously, Belichick can veto anyone. Also, belichick can make sure that any particular coach has a job. Did we sign Robb Smith? No..that's why it's a prediction. Any change we get Aaron Glenn from the Saints in some role. We reportedly considered adding him to replace Patricia last year. Probably has something to do with Greg Sciano coming in to be the DC. Daly might have felt like he deserved a promotion and didn’t get it. Understandable to go where he sees better opportunity for his career and for his family. Obviously KC needs a lot of help on that side of the bill. That was a historically bad defense. He will be good for KCs defense. I'm thinking all the teams with Pats ties are in play - MIA, DET, KC - as well as teams with deep pockets - NYJ, INC. It'll be tough if Flowers tests the market. Everybody step back from the edge, IMO it is quite simple... Daly's wife is from KC, and when mother is happy everybody is happier.. this is a lateral move. Meanwhile the jury is out to see how well any of these folks do after their Patriots gig..
One thing for sure the BB coaching tree seems to be growing exponentially, but their effectiveness will be judged at a later date.. unfortunately, this means more work for the Coach..
as long as we have Belichik, McDaniels and Brady I am confident we will be fine. Thats what Curran said in a recent QuickSlants. His contract was expiring and being closer to KC was good for the family.